With the first inkling of reprieve from the brutally cold weather, it was time to get out and check out something new and different. 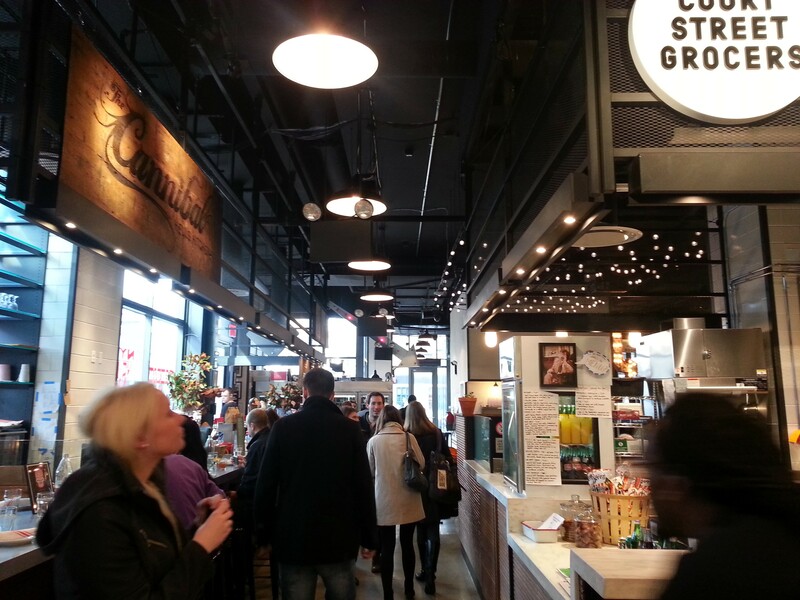 First, it was heading to the 17th Street and 10th Avenue Equinox location for a TRX class that I wanted to see what it was all about and then, since we were already so far on the west side, we walked up to 11th Avenue and 45th street to check out our second new adventure – Gotham West Market. GWM was a destination for us as we were eager to check out the Ivan Ramen Slurp Shop and had the intent to not spend as much as we would in a traditional restaurant. We had been reading that this amazing ramen is the first outpost in the U.S. to open up from its residency in Japan and that it was – AMAZING. My husband had the Classic Shio that is in the upper left hand corner of the picture. 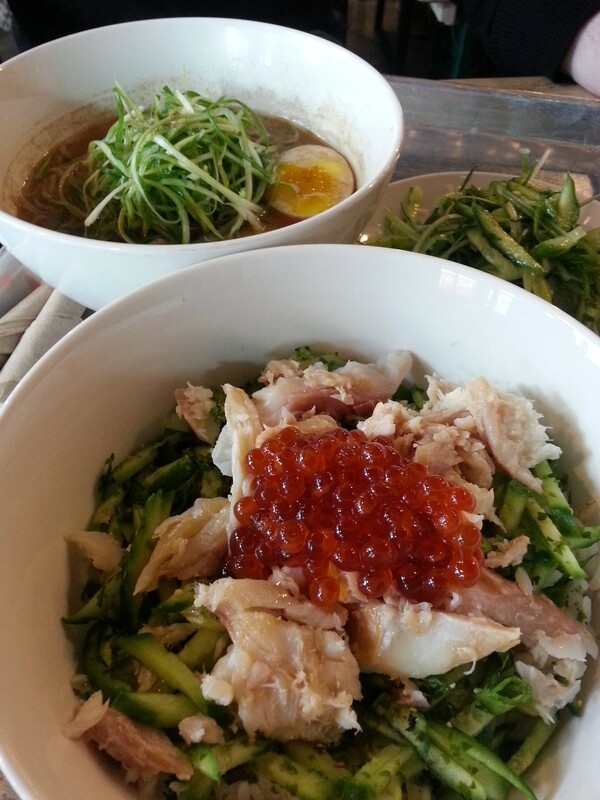 The anchor bowl was my dish, the Smoked Whitefish Donburi. Both had a great balance of sweet (from the dashi) and salty with a hint of smokiness (probably more so with mine due to the whitefish). The rye noodles in the ramen had a good texture which gave it a nice change to the normal ramen. 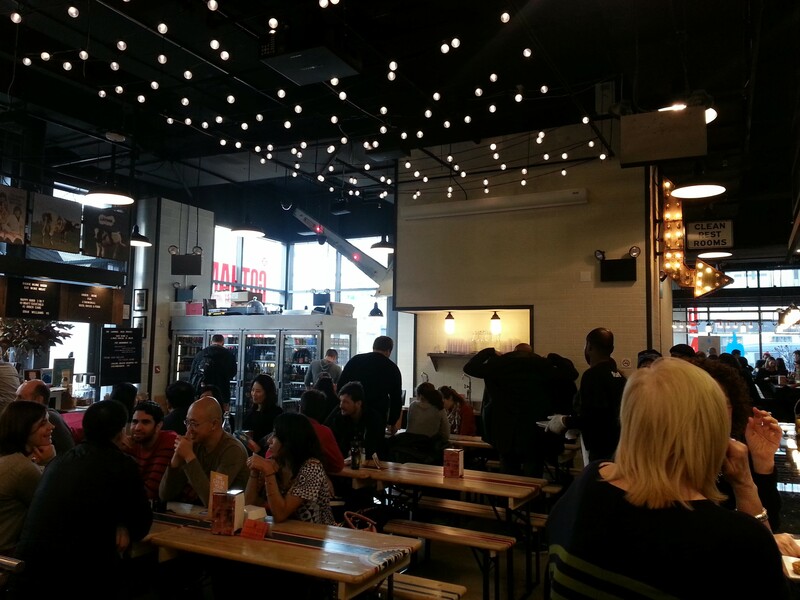 Gotham West Market is a retail and dining destination reminding me of the “markets” that we found in Spain and even Toronto particularly La Boqueria in Barcelona. Navigating through the aisles, a variety of consumption items are available for take out and for sale. I recently read that Saks 5th Ave’s new strategy for their Off Saks outlet stores is to design the store to look and feel messy, recognizing that customer’s love that Nordstrom Rack appeal of this very aesthetic. Now the article doesn’t exactly say what about this aesthetic is appealing to the consumers but my belief is that they feel they are getting a better deal or a good “buy” when the store feels and looks less like the department store. When my husband and I were in Barcelona, we made our way to the markets as a way to save money on our meals; and of course to experience all things local; however, exiting Gotham West Market probably a good 45 minutes later and very satiated stomachs, I can’t say that our stateside dining was equally frugal. Referring back to the article that I read about Off Saks’ strategy, I believe GWM and other “markets” have similar strategies. My husband and I fell victim to the belief that serving ourselves and sitting at community tables would allow for a less expensive meal. Although a “buy” is not what we garnered, make no mistake, we know “you get what you pay for” and we sure did! Our ramen, wine, coffee and dessert were well worth venturing to 11th ave and up to Midtown for. See you again soon! This entry was posted in hungry?, thirsty? 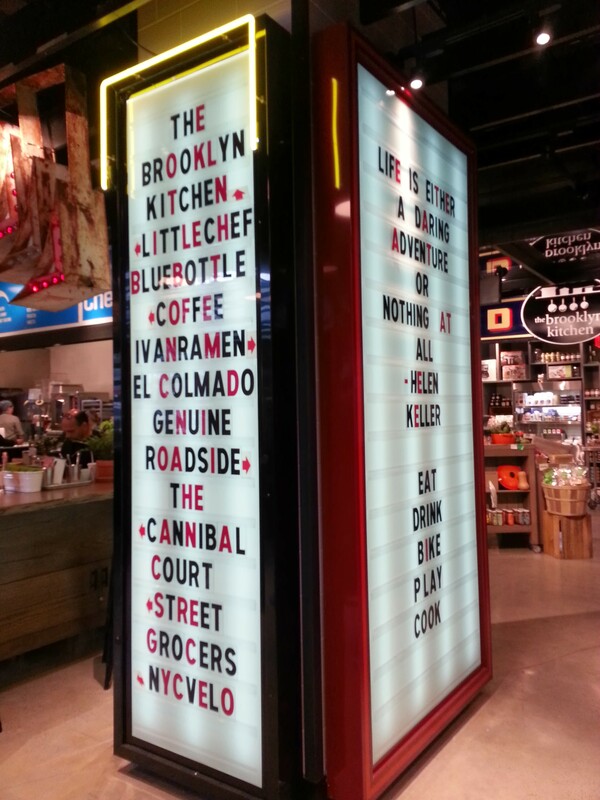 and tagged Equinox, Ivan Ramen Slurp Shop, Saks 5th Avenue, TRX. Bookmark the permalink.